Senator Kiko Pangilinan may try to fool the Filipino masses once more, but it will not work. 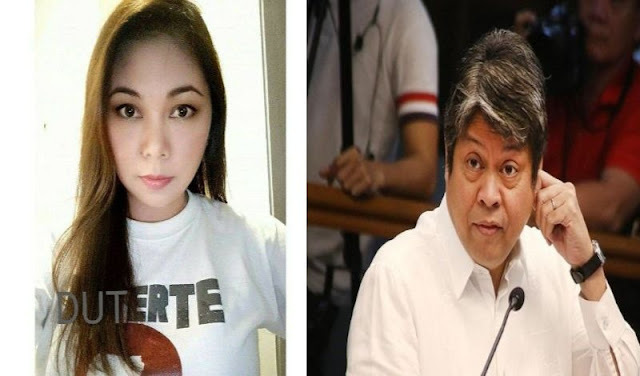 International trade expert MJ Reyes pointed out in her Twitter account that Pangilinan was quick to change his stance on a president firing or suspending the deputy ombudsman now that there’s a change of regime. “So, back in 2011 it’s ok for a President to fire an Ombudsman, right?” Reyes tweeted. “So, why sing a different tune now when the President is not a partymate?” she added. These reactions came up after the Office of the President (OP) released a 90-day suspension order against Deputy Ombudsman Melchor Carandang after the latter released documents pertaining to President Rodrigo Duterte’s bank account. "... the executive department should enforce the order even if it meant “physically” removing Deputy Ombudsman Emilio Gonzalez III from his office. "We need to exorcise the nation from the ghosts of the past regime wherein the Constitution and the rule of law were upheld only when it served the purpose of the incumbent. Enough is enough." Reyes doubted the sincerity of Pangilinan’s stand now, even going as far as saying that “people are no longer dumb” enough to believe the overt chicanery and politics. Kiko says to Ombudsman, "Respect President Aquino's firing of the Deputy Ombudsman." Remember your words then, Senator Francis Pangilinan? Deputy Ombudsman Emilio Gonzalez III from his office. Kiko says, "The President cannot suspend the Ombudsman or his/her deputies." So, Mr. Pangilinan, pwede pa lang mag-"fire" noon pero hindi na pwede mag-"suspend" ngayon? Sorry, people are no longer as dumb as some politicians wish or want the people to be. Note: Given the 2014 SC Ruling on the said issue, it now looks like the Ombudsman has become the most powerful.